We often talk about ‘letting us refresh your brand’, but clients are sometimes scared to veer too far from their established look… even if the look is outdated and stale. That’s where we come in. Understanding where you’re coming from and where you want to go is the first step in refreshing your brand. Recently, our client 1Tax Financial, faced this exact issue. 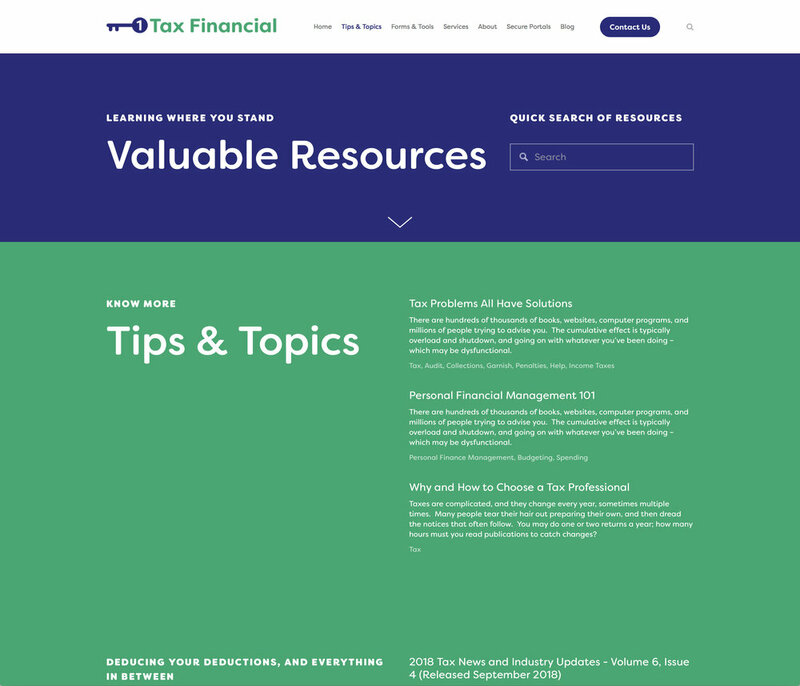 An established tax and financial planning firm, 1Tax Financial didn’t want to change their logo, but knew they needed to update their look. Their market is changing and getting younger. They wanted to appeal to this new batch of customer without losing their original identity. We took their logo and modernized it with a new mark and updated fonts. We kept the layout and overall approach, but revitalized it! 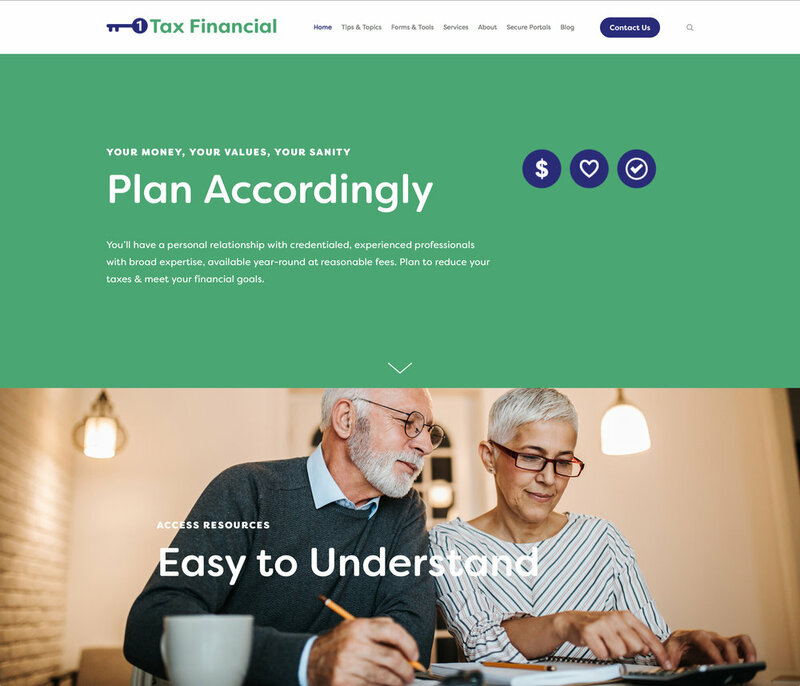 Piggybacking off their brand refresh, we created a vibrant new website and voice for 1Tax Financial. We are really proud of this project and would love to help you refresh your brand!